Bermuda based reinsurer Third Point Re, backed by a hedge fund and institutional investors, are partnering with Hiscox Insurance Company (Bermuda) Limited in the development of their first catastrophe reinsurance fund efforts. 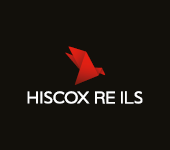 A few weeks ago we wrote that Third Point Re were raising capital for a new property catastrophe reinsurance fund and now it transpires that Hiscox will be a partner in the venture both by contributing capital and ceding reinsurance business to the fund. The announcement stresses that at this stage the involvement of Hiscox is an ‘agreement in principle’. Through the agreed investment, Hiscox will become a shareholder in Third Point Reinsurance Investment Management Ltd., a recently established fund management arm of Third Point Reinsurance Ltd. Hiscox intends to make what their joint press release terms a ‘significant investment’ in the first fund the venture is launching, called the Third Point Reinsurance Opportunities Fund Ltd.
As well as becoming a source of capital for Third Point’s catastrophe reinsurance fund, and we assume seeing some profits from the premiums underwritten, Hiscox will also benefit by ceding tailored portfolios of catastrophe reinsurance risk to the fund via a structured quota share agreement. Third Point Re’s capital and assets from the business underwritten are invested by Daniel Loeb’s Third Point LLC hedge fund and we assume that the assets of the Third Point Reinsurance Opportunities Fund Ltd. will also be invested in this way. The strategy brings new sources of capital to the hedge fund manager via a low to medium risk underwriting strategy across a number of lines of business. For Third Point the partnership with Hiscox will bring them a seed capital provider and a ready-made source of reinsurance risk and premiums to get the catastrophe fund venture off to a flying start. For Hiscox, involvement in the Third Point Re catastrophe reinsurance fund makes a lot of sense. It will benefit them from both a reinsurance linked investment perspective, where as a shareholder they can profit from collateralized reinsurance premiums, and also perhaps from cheaper rates as a partner for ceding reinsurance business to the fund than they could find retro cover for elsewhere in the reinsurance market.